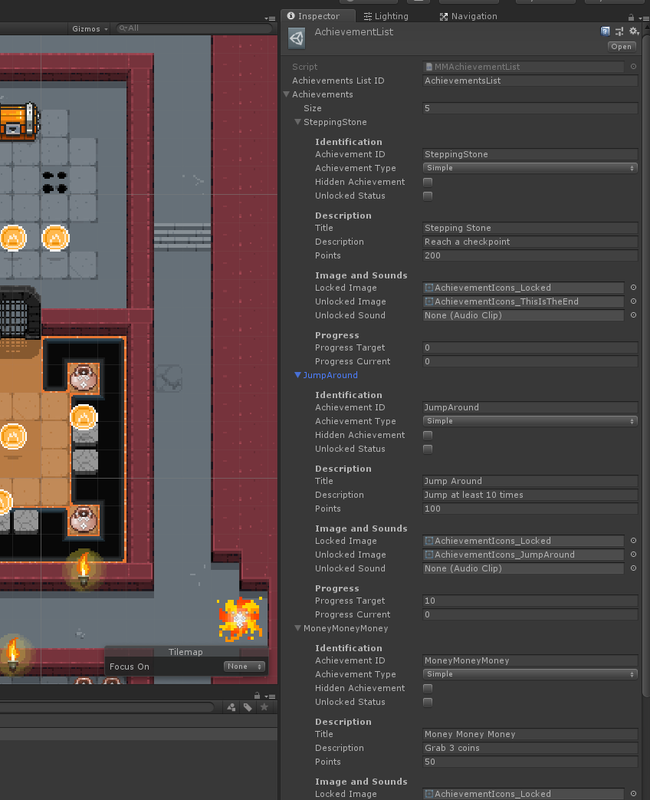 This page describes how to use the achievements system included in the TopDown Engine and customize it to your game. 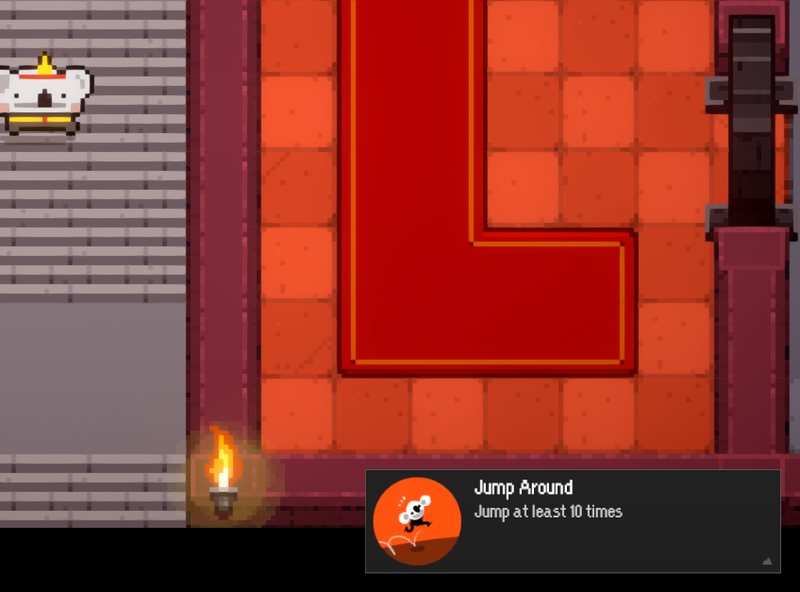 The TopDown Engine includes a simple to use yet powerful achievements system. It’ll allow you to define, trigger and save achievements. Plus it’s very modular and easy to extend, if you want to plug it to a specific platform’s social API for example. The second important thing to know about achievements is how to define them. This is done via a Scriptable Object, the AchievementsList. You can create your own, but there’s already one in the asset that you can modify. You can find it under Common/Resources/Achievements. You can just select it and modify its content via its inspector. Note that the list has to be within a Resources folder, otherwise Unity won’t be able to load it.